The Original Clicker Universal Garage Door Remote keeps you moving with two buttons that control up to two different brands of garage door openers individually. Outdoor enthusiasts love how Realtree EDGE fits their lifestylenow, we have their key to the wide-open spaces. This easy-to-program remote is compatible with over 90% of all garage door openers installed in North America, including major brands such as Chamberlain, LiftMaster, Craftsman, Genie and many more. Whether replacing, updating, adding or consolidating remotes, this remote is the one that you know will work. The PD612D Power Drive<sup></sup> 1/2 HP Chain Drive garagedoor openerdelivers exceptional,all-around performance. Its durable 1/2 HP motor is combined with an industrial-strength chain drive to provide smooth, steady performance and lifting power year after year. 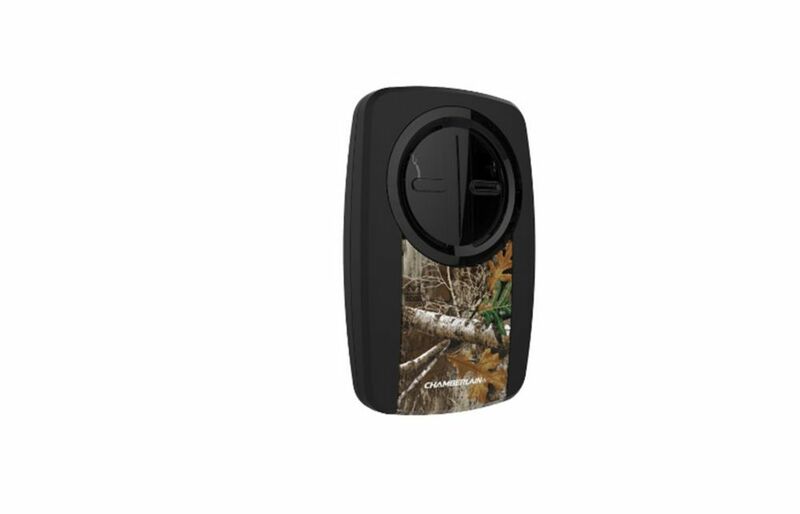 Original Clicker Universal Garage Door Remote featuring Realtree EDGE The Original Clicker Universal Garage Door Remote keeps you moving with two buttons that control up to two different brands of garage door openers individually. Outdoor enthusiasts love how Realtree EDGE fits their lifestylenow, we have their key to the wide-open spaces. This easy-to-program remote is compatible with over 90% of all garage door openers installed in North America, including major brands such as Chamberlain, LiftMaster, Craftsman, Genie and many more. Whether replacing, updating, adding or consolidating remotes, this remote is the one that you know will work.